Visit the Giveback Support page at https://givebacktickets.com/support. If you placed an order and didn’t receive your tickets, click on the area that says – “Can’t find tickets.” Fill out the information to recover your tickets, then click the submit button. 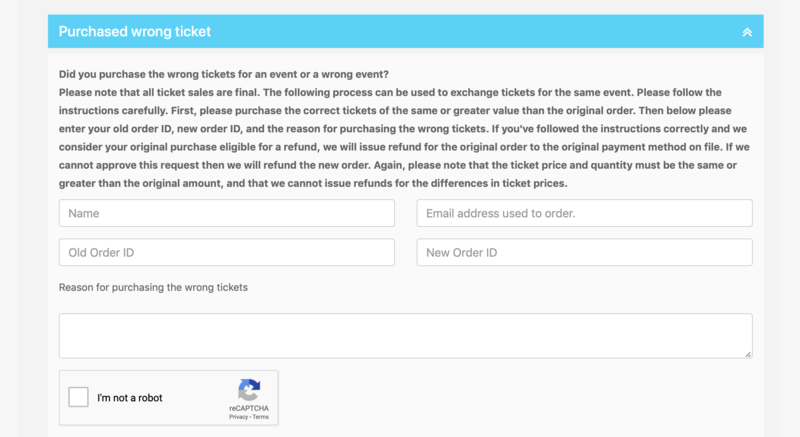 If you purchased the wrong tickets, purchase the correct ones of equal or higher value, then submit the information under ‘Purchased Wrong Tickets’. 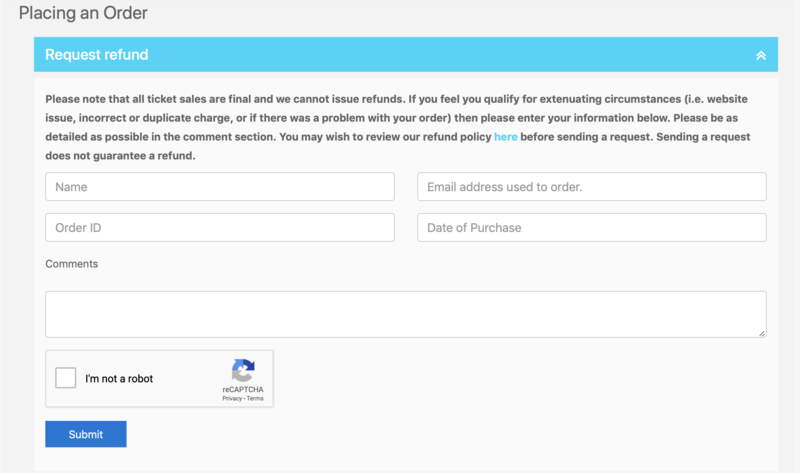 If approved, Giveback Tickets will refund the initial order and cancel the tickets. Please note that refunds are not guaranteed and refunds are only issued under strict guidelines and certain circumstances. Please provide as much relevant and accurate information as possible. For questions about the event, please visit event organizers page.